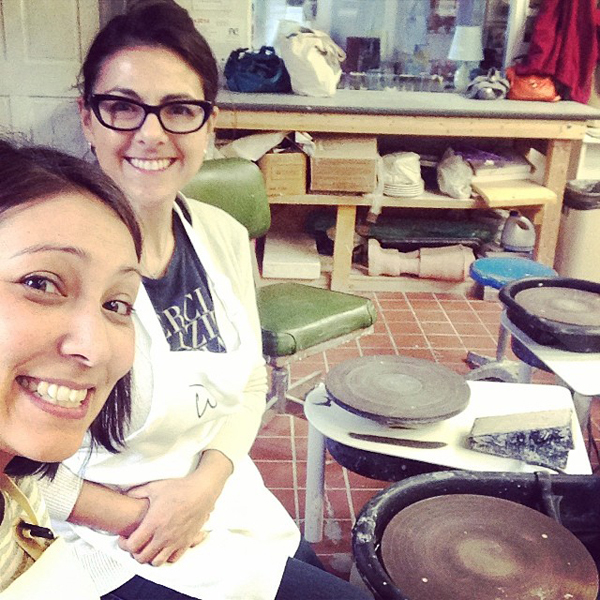 Look who I talked into pottery classes! Tina is joining me in wheel throwing classes at Genesee Center for the Arts and Education on Monday nights. She centered like a pro. We had fun and rounded out the evening with clay on our hair, glasses and iPhones.